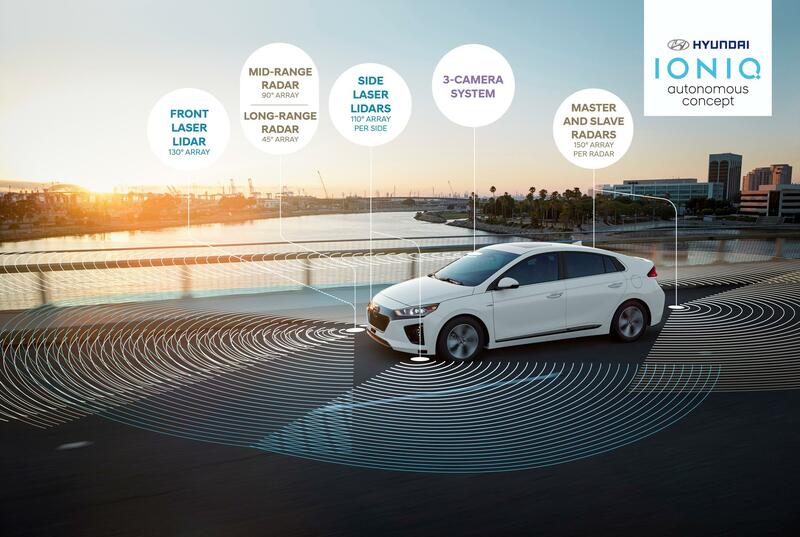 Hyundai is working in partnership with Aurora to bring level 4 autonomous control to vehicle markets within the next three years. Hyundai and autonomous vehicle specialist, Aurora, have entered into a strategic partnership to bring self-driving Hyundai vehicles to market by 2021. This partnership will incorporate Aurora’s self-driving technology into Hyundai vehicles starting with models custom-developed and launched in test programs and pilot cities. Over the longer term, Hyundai and Aurora will work to commercialise self-driving vehicles worldwide. To start, the partnership will focus on the ongoing development of hardware and software for automated and autonomous driving and the back-end data services required for Level 4 automation. This level as defined by SAE can operate without human input or oversight under select conditions. The goal of the partnership is to deploy autonomous driving quickly, broadly and safely. Hyundai and Aurora share the common vision of improving safety and mobility on the world’s roads, and together bring the skills and experience required to successfully introduce this technology at scale. Hyundai has been involved in vehicle design, safety and manufacturing for nearly 50 years, catapulting the company to become one of the world’s largest vehicle manufacturers together with its Kia Motors Corporation affiliate. For the last two decades, Aurora’s founders have been dedicated to the self-driving revolution, building teams and pioneering modern machine learning techniques now on the cusp of transforming transport. Together, Hyundai and Aurora will move quickly to bring self-driving technology to market around the world. Hyundai Motor’s partnership with Aurora is part of the company’s ongoing efforts towards realising fully autonomous driving. Hyundai first began testing autonomous vehicles on public roads of the USA in 2015, having been granted a licence by the state of Nevada. Last year at the CES event, Hyundai advanced its trials in urban environments, demonstrating self-driving technologies to the public with its autonomous IONIQ models. Hyundai’s latest new-generation fuel-cell vehicle, which will make its official global debut at CES 2018, will become the first model to be utilised in the test processes starting this year. The fuel-cell powertrain will offer an ideal platform to implement autonomous driving technologies, which requires a massive amount of power to support the large amount of data communication as well as the operation of hardware such as sensors. Hydrogen-powered fuel cell vehicles will be able to provide a stable electric power supply without concerns about driving range.